They must have changed the way the level begins. Mine does not look like yours. The game has changed. 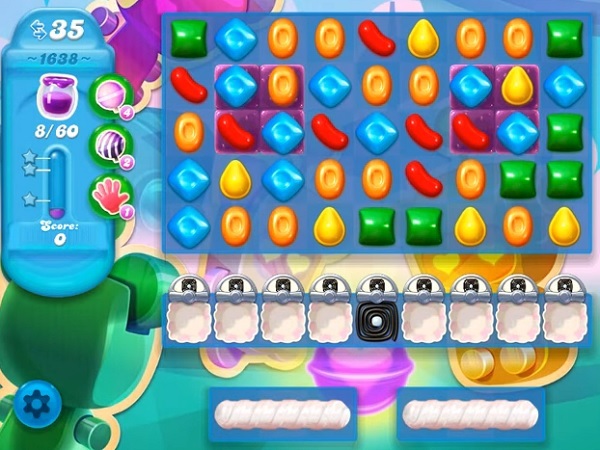 The jellies are locked and the cookies or muffins or whatever they are, are locked with three hits/per to clear them.